What is Gene-O-Rama? No it isn’t something you order from a late night TV ad. No Sheldon Cooper, didn’t name this event but it certainly sounds like something he would be interested in…along with about 200+ (this is a very rough guestimate – probably higher) Ottawa and surrounding area Genealogists, family historians, archivist and librarians. 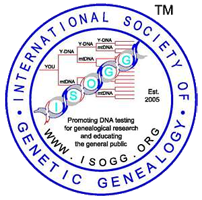 We, Grandma’s Genes, were there to spread the word about our work here in Ottawa (and elsewhere), on Genetic Genealogy, Indigenous Peoples and WikiTree. We had a great time meeting and networking with participants, venders, speakers and the volunteers who did a bang-up job of making everything come off with out a hitch! It was great being a participant for Gene-O-Rama. I am often representing WikiTree at genealogical events, so having the time to do some professional development for myself was a nice change. AND I got to spend some quality “out of the office” time with Marc. It was a great building and bonding experience for our partnership as Grandma’s Genes. Take away? Size doesn’t matter when you have a well run event with lots of venders, great volunteers and informative and knowledgeable speakers in the field. Great Job Ottawa Branch of the Ontario Genealogical Society! Next Next post: DNA – Where to Test?